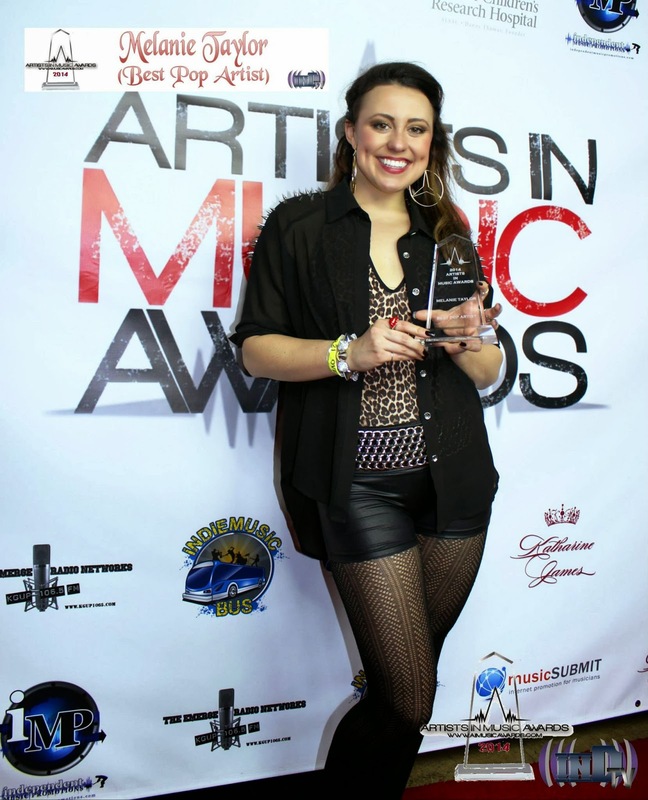 On Friday, February 7, Melanie Taylor not only performed during the awards ceremony, but the 25-year-old Pop singer songwriter took home the Best Pop Artist award trophy at the 2014 Artists In Music Awards held at Jon Lovitz Theatre in Hollywood, CA. Los Angeles, Calif -- Melanie Taylor, the San Diego native and Pop Singer Songwriter is the reigning Best Dance Artist winner at the 2013 Artists In Music Awards best known for her live dance performances and her pop single “Walk of Shame”. In December, Melanie received three Final Nomination for Best Pop, Best Dance, and Performer of the Year at the 2014 Artists In Music Awards and with her win for Best Pop Artist, she is now a two-time music award winner. 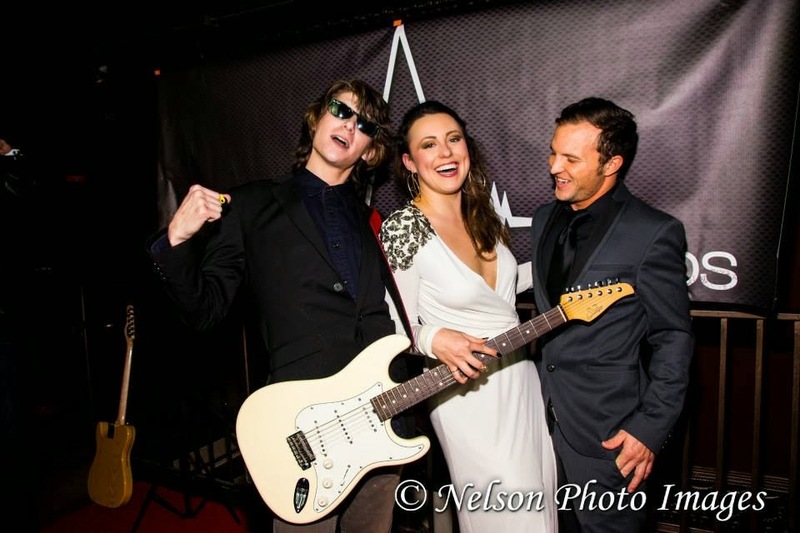 Melanie Taylor is a two-time AI Music Award winning Pop/Rock Singer-Songwriter (2014 Best Pop Artist & 2013 Best Dance Artist) originally from Carlsbad, CA. Now residing in Hollywood, CA Melanie has worked with Grammy nominated producer, Christian Davis (Lil Wayne, Mark Walberg, El Debarge, and Chad Brown), Troy “R8D!O” Johnson (Eve, Jennifer Lopez, Chris Brown, Backstreet Boys, Will Smith, Solange, Kelly Rowland, 2Pac), as well as many others. Melanie’s background began strongly with musical theater, show choir, and an obsession for Michael Jackson - making her shows a mix of theatricality, raw talent, and inspiration. Melanie also placed top 40 in the Ntl. Indie Digital Radio Charts, as well as top 200 in the National Digital Pop Radio Charts. She has received two 2014 Los Angeles Music Awards nominations for Best Live Performer and Female Vocalist of the Year. Melanie will additionally go for her third music award this year as she will compete and perform in the 15th Annual Bare Bones International Film & Music Festival, with a nomination for Best Music Video for her single Cease Fire April 3-13th, 2014. Melanie will be announcing a two-week tour in the mid-west beginning April 2nd - dates and locations to be announced.